SMOOTH provides safe, dependable and accessible transportation, which fosters independence, community access, and quality of life for residents of the Central Coast, especially for those requiring medical, physical, and social assistance. We recognize that our customers are the sole reason for this organization’s existence, and without them, we are unnecessary. We are committed to promoting professional and ethical conduct in our employees. We value the role of each employee in accomplishing our organization’s mission. We realize SMOOTH is a responsible member of the community and must respond to our community’s transportation needs to the very best of our abilities. We are committed to providing a positive image of our organization, our staff, and our services. We strive to involve community organizations, community members, and community advisors in guiding and supporting our services. 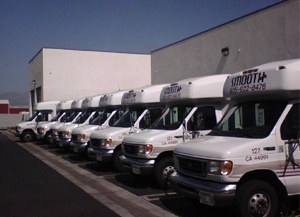 SMOOTH strives to meet absolute reliability in all facets of service by consistently providing low cost and on-time means of transportation for as many residents on the Central Coast as possible. We are further committed to providing such high quality services that our customers consider transportation a seamless part of their day.